Synopsis: Martin Clunes sets out on an international journey to investigate the extraordinary relationship between man and beast in a two-part documentary for ITV. 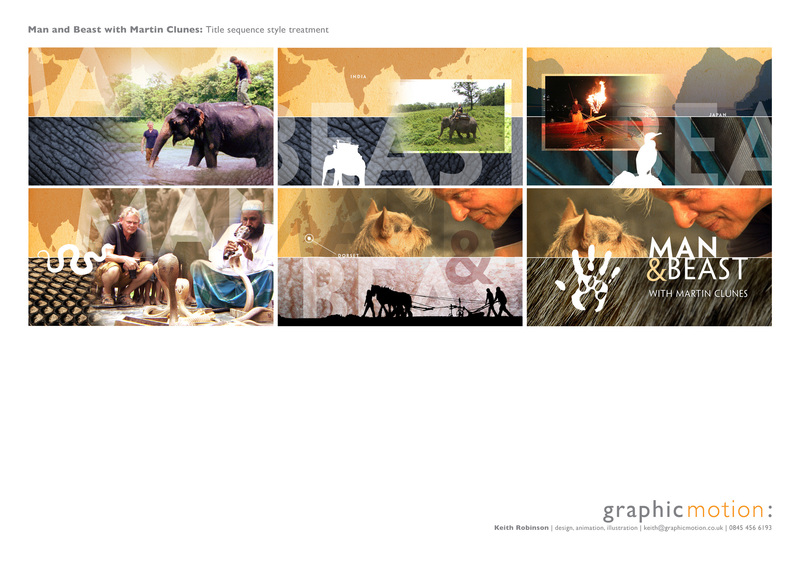 This entry was posted in Art Direction, Concepts, Recent Work, Storyboards, Titles & Graphics and tagged animals, cobra, dog, elephant, Man and Beast, Martin Clunes, Nature, snake, travel, wildlife. Bookmark the permalink.